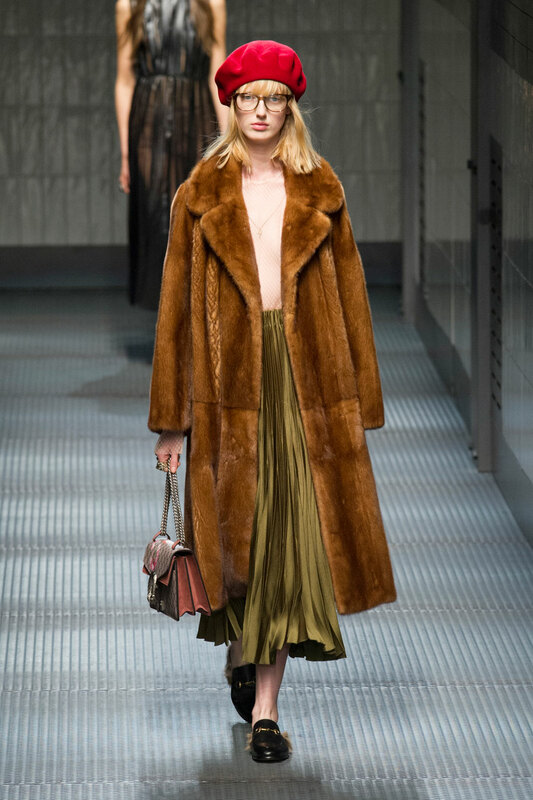 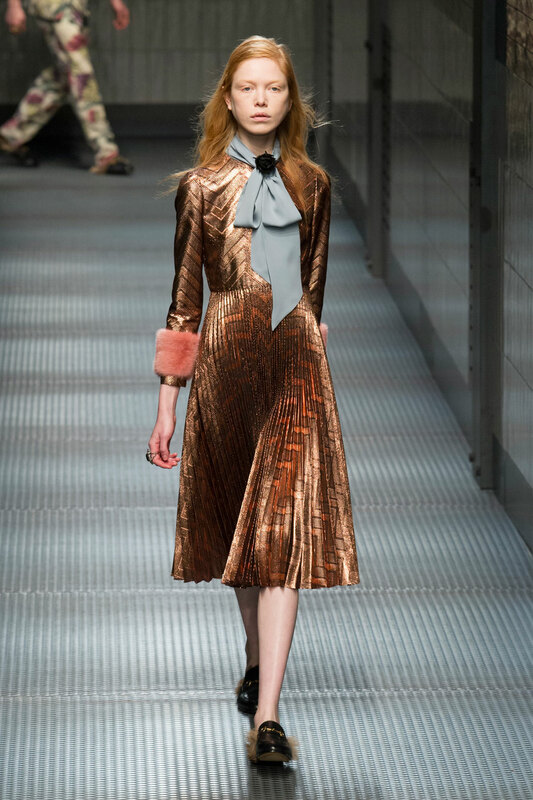 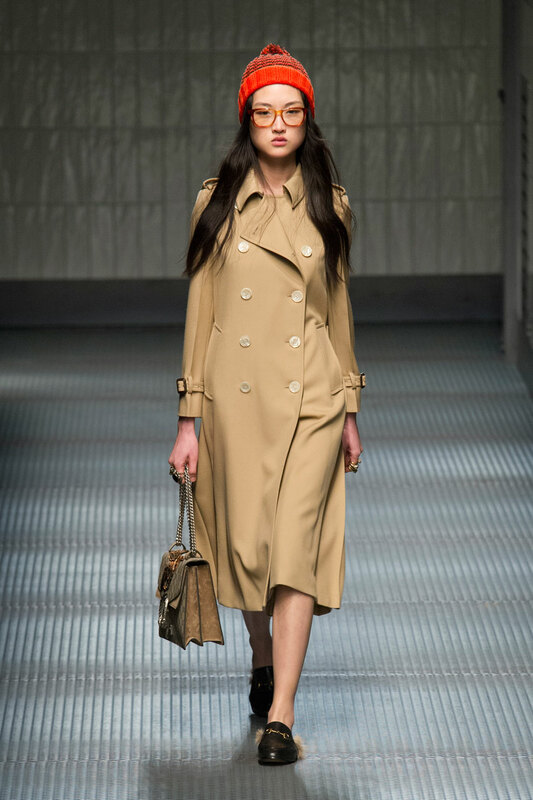 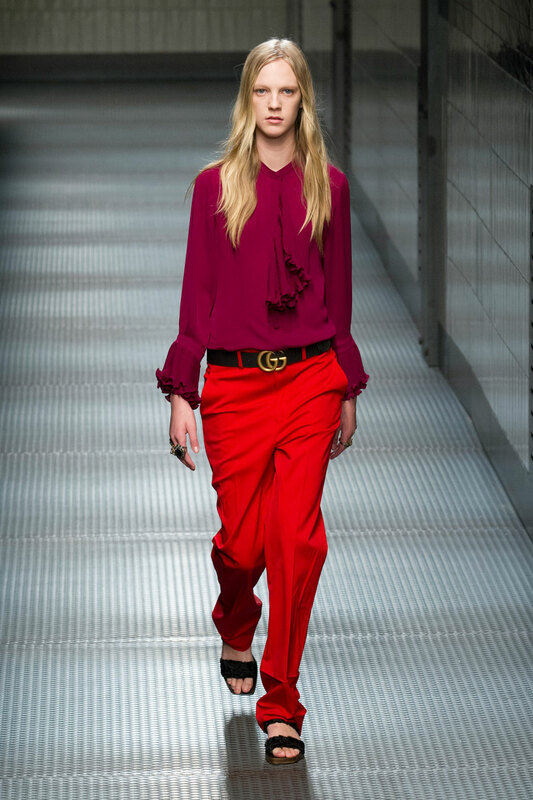 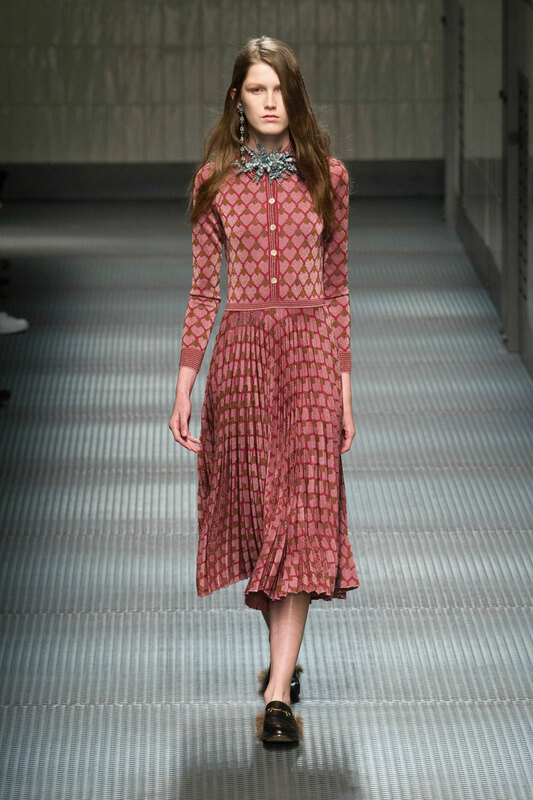 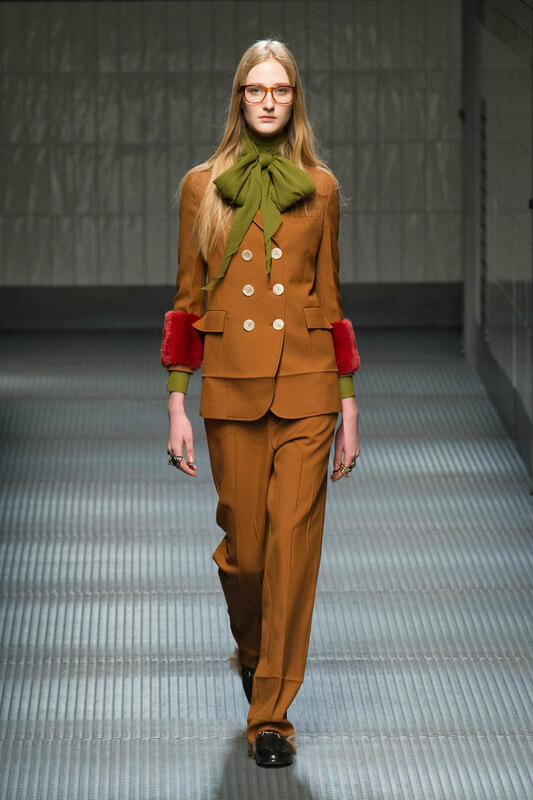 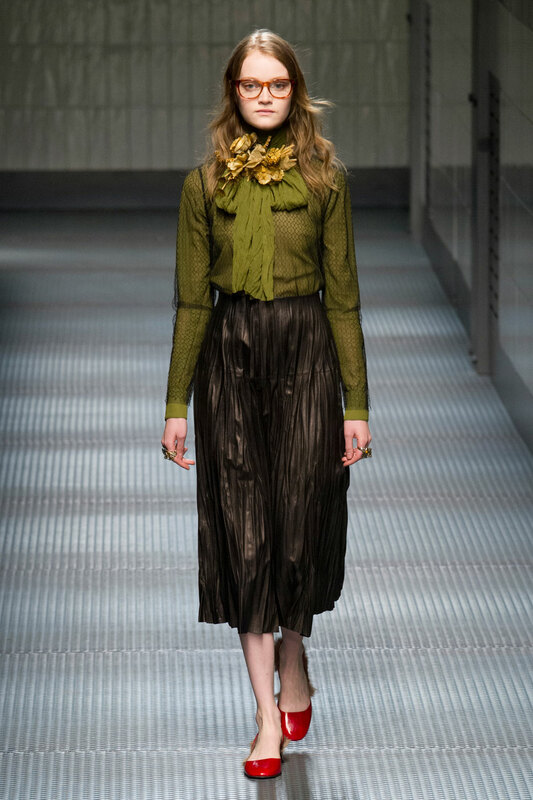 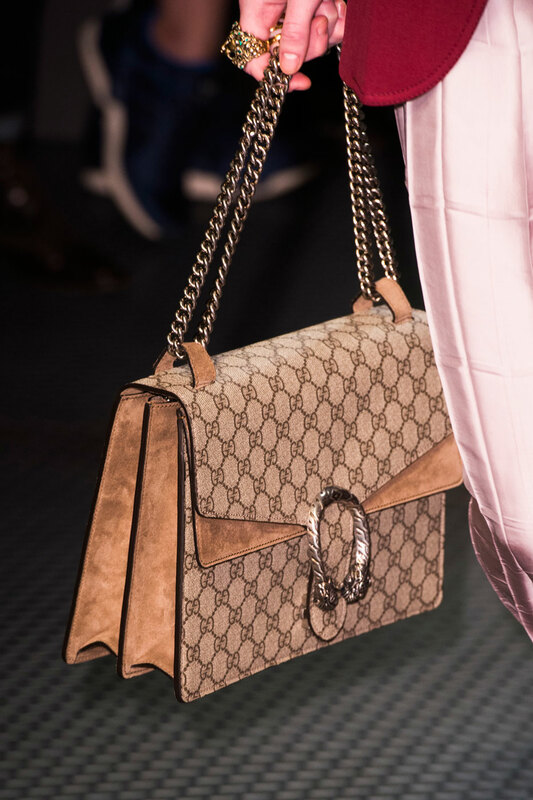 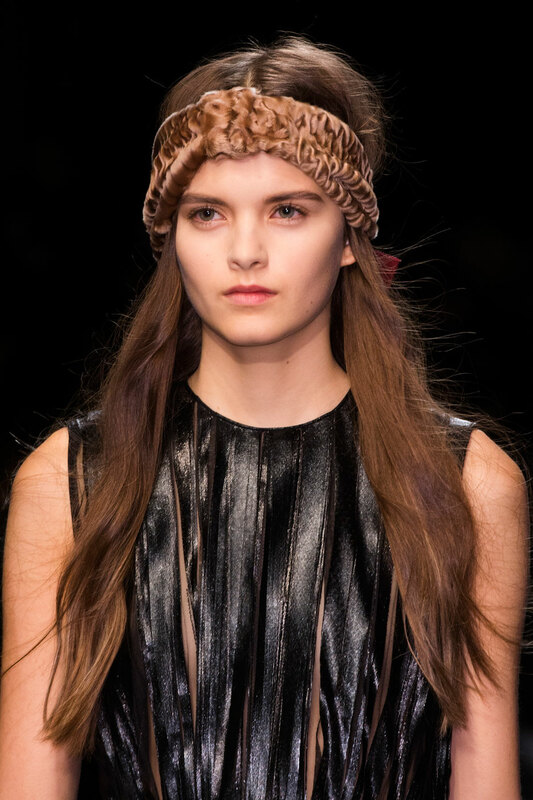 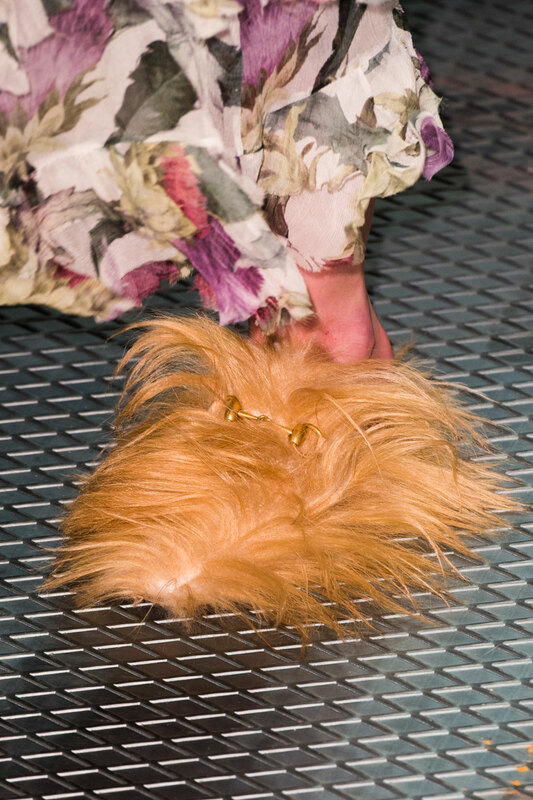 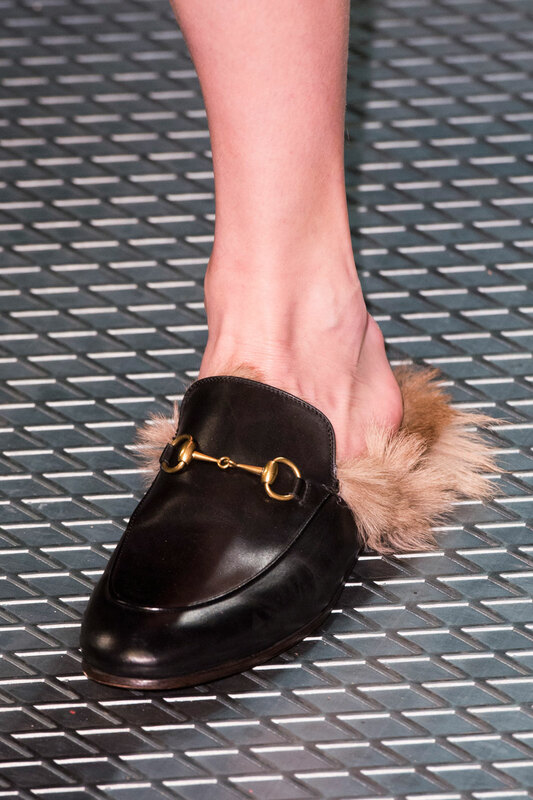 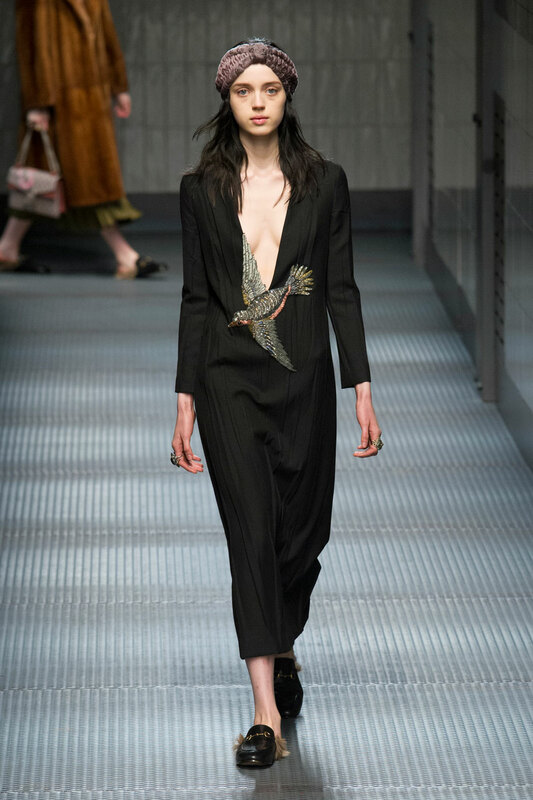 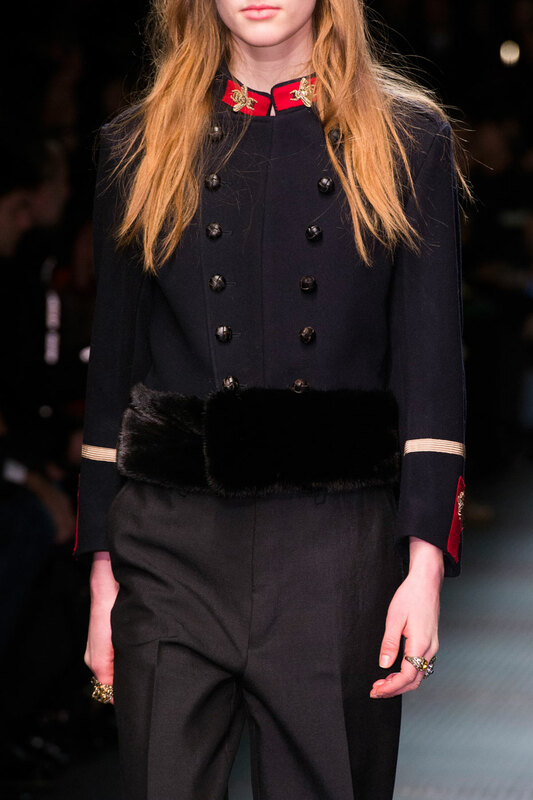 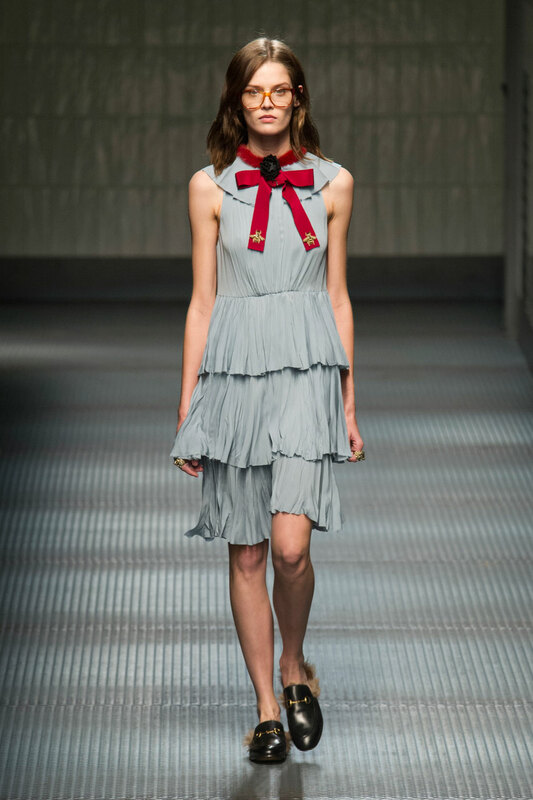 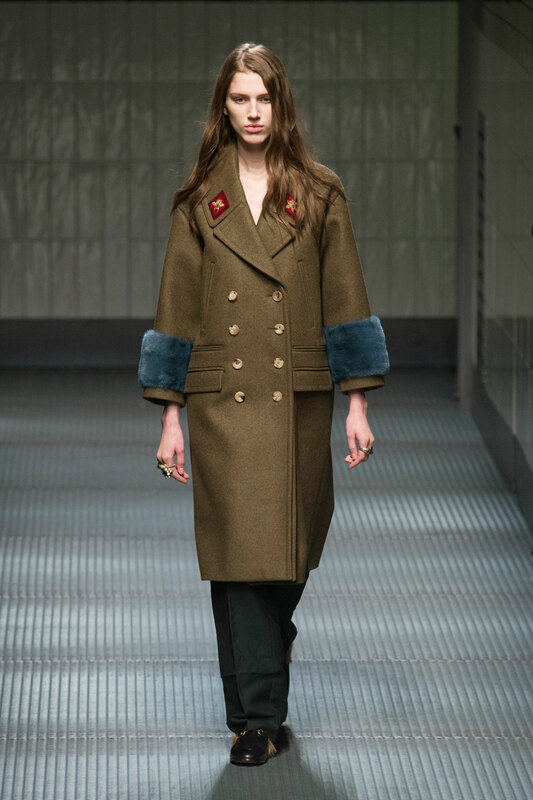 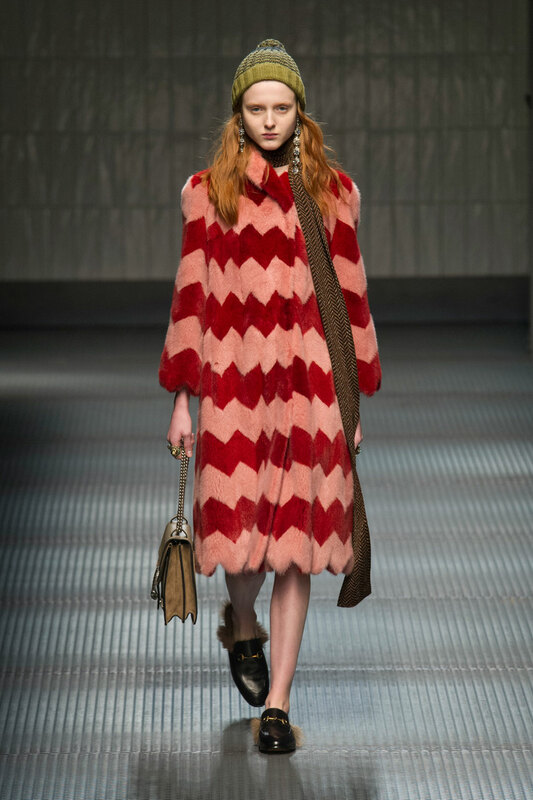 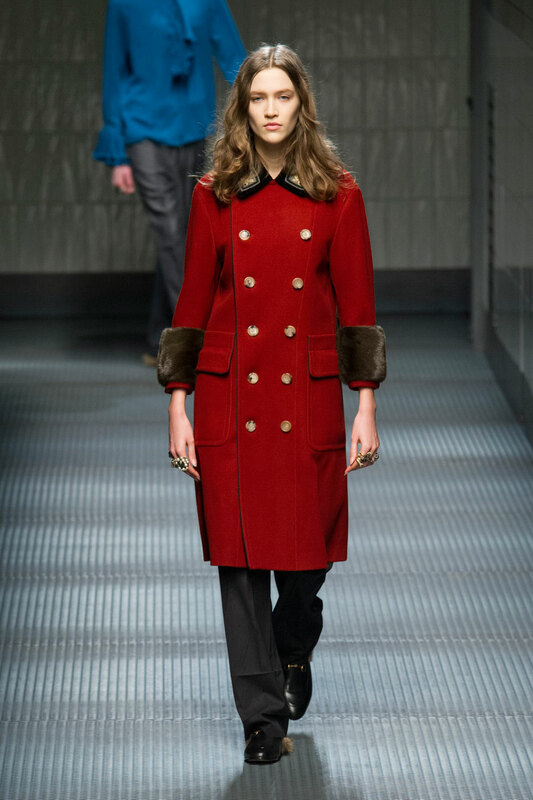 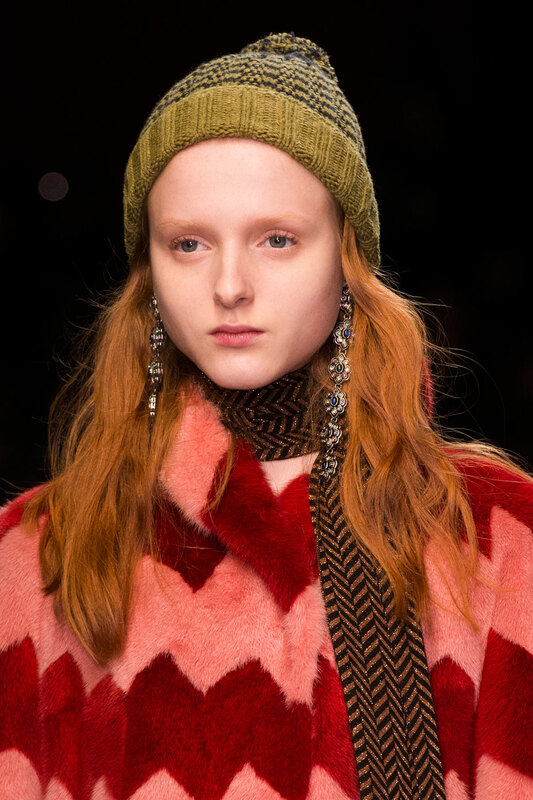 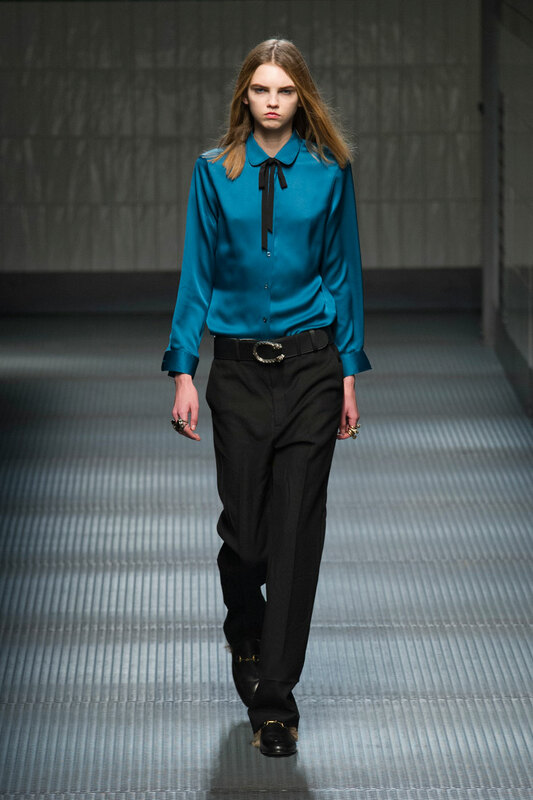 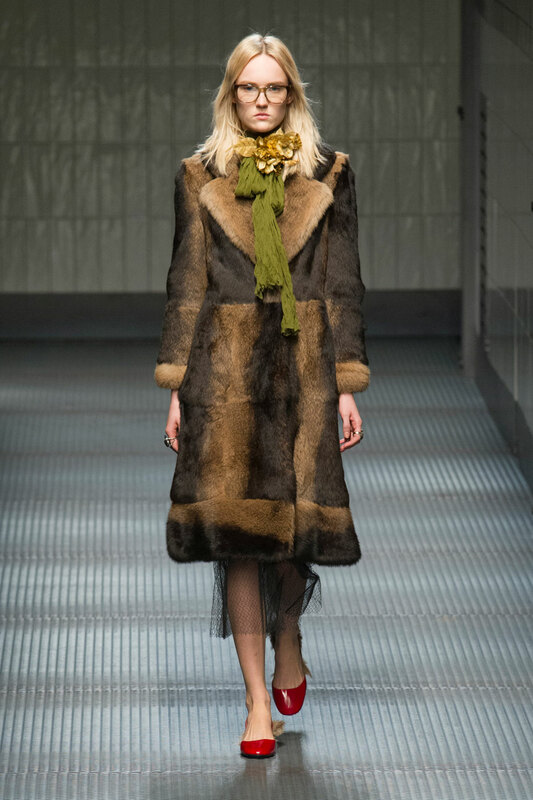 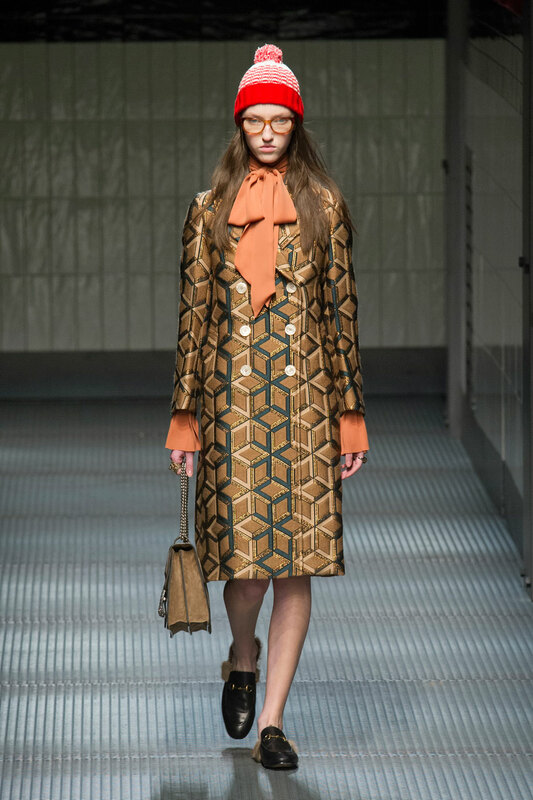 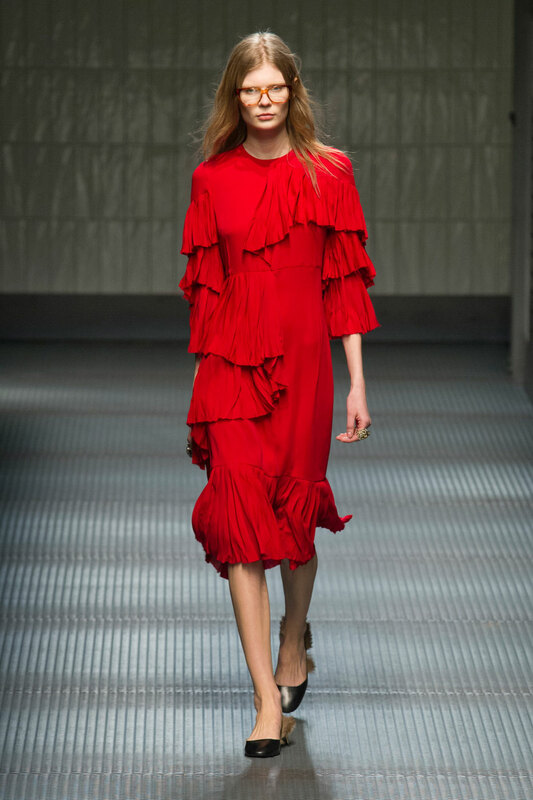 Gucci opened Milan Fashion Week in an eccentric yet chic style this season, with pleated leather midi’s, kooky 60’s inspired ruffles and statement ‘hairy’ shoes. 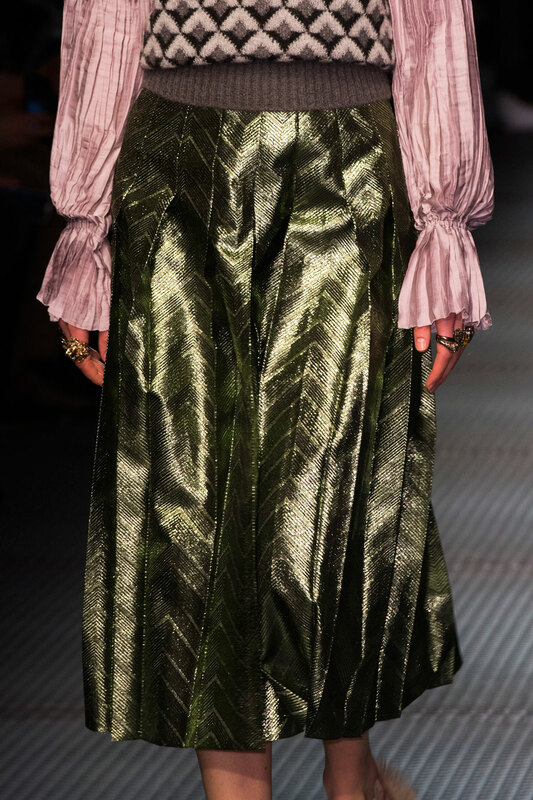 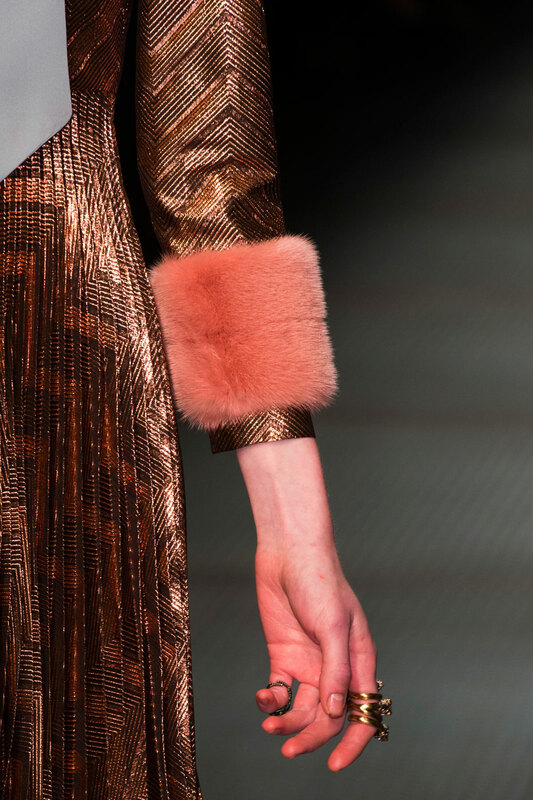 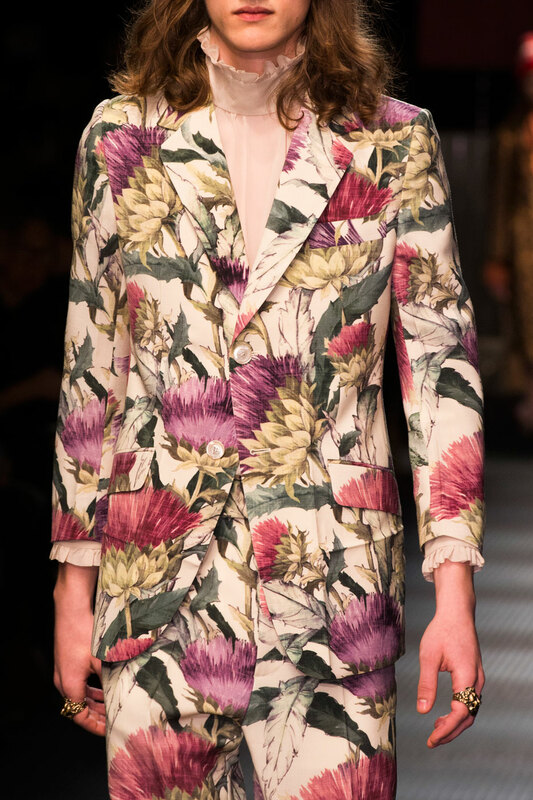 Michele’s ‘Game of Thrones’ inspired collection expressed a flood of saturated colours through exquisite floral androgynous suits, intricate embroidery and the now official trend of fuzzy cuffs. 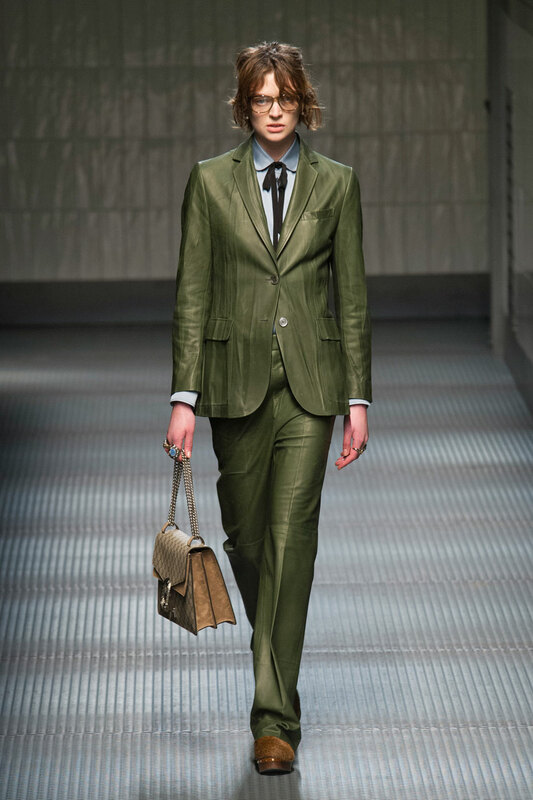 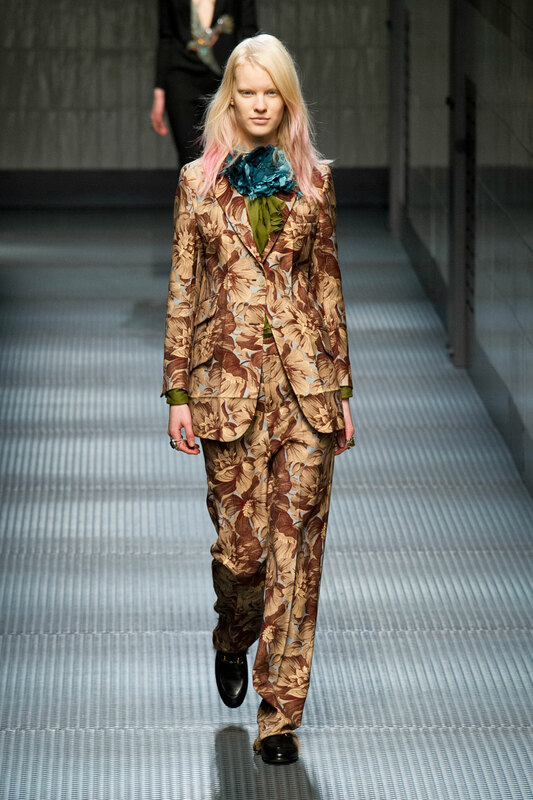 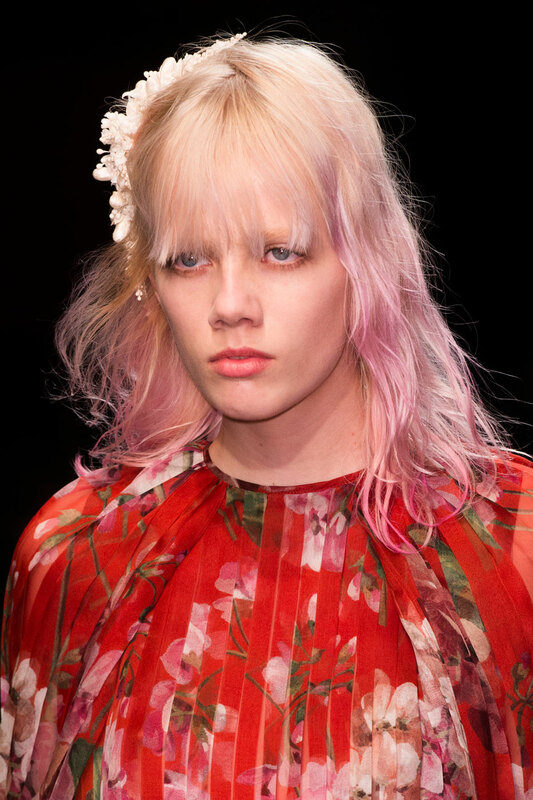 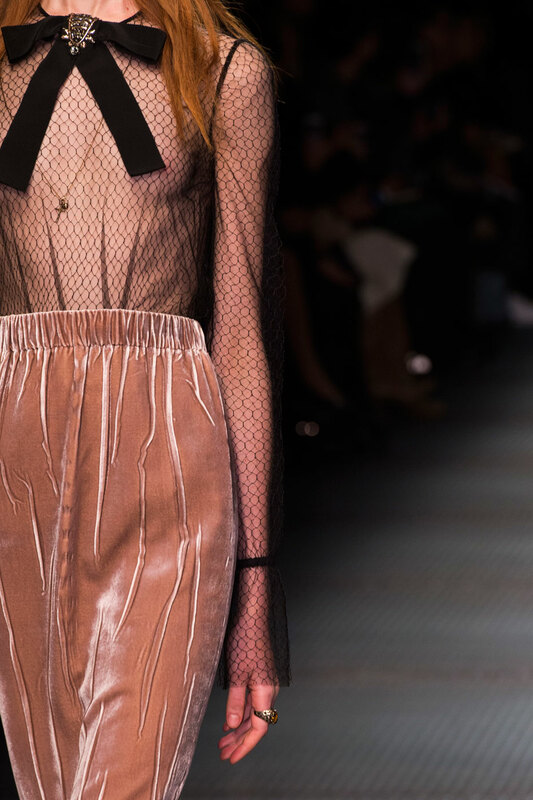 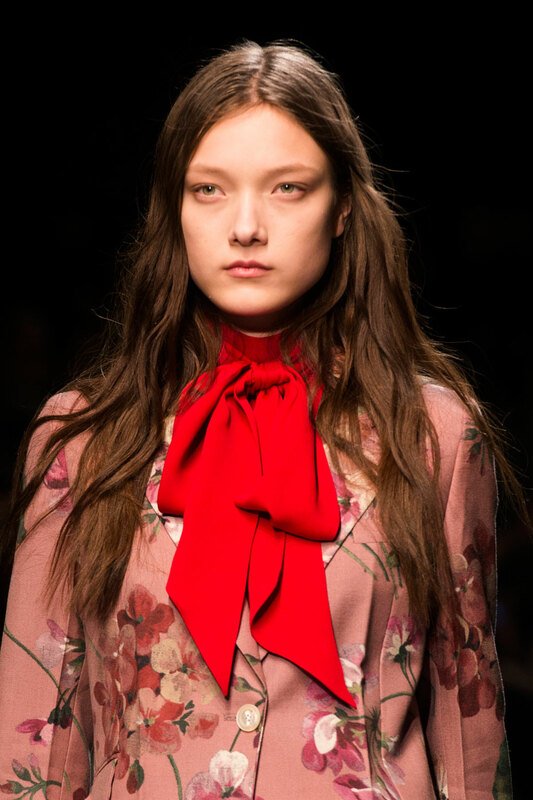 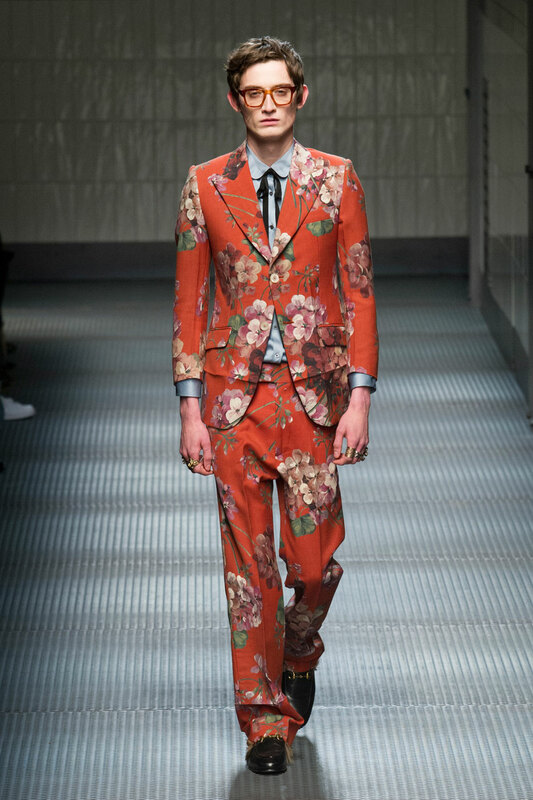 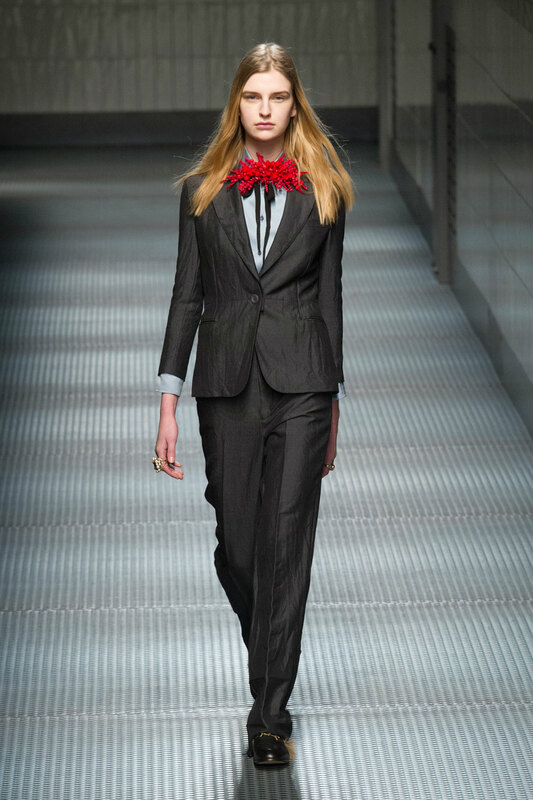 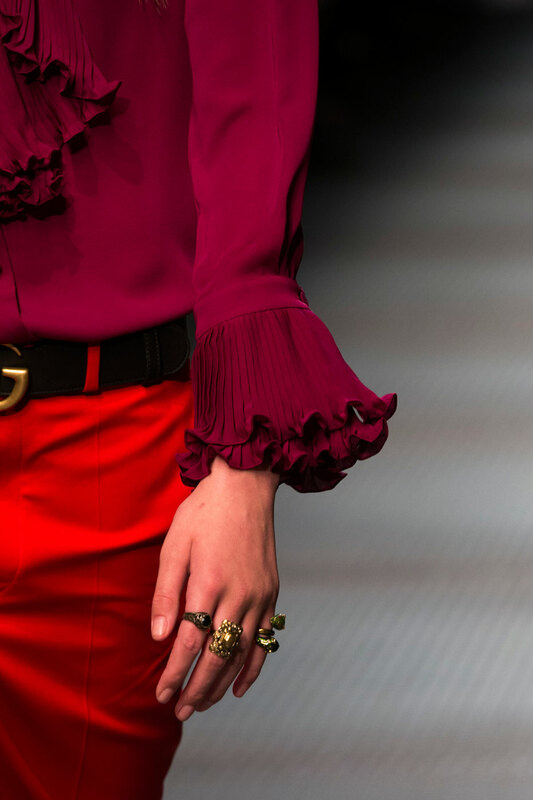 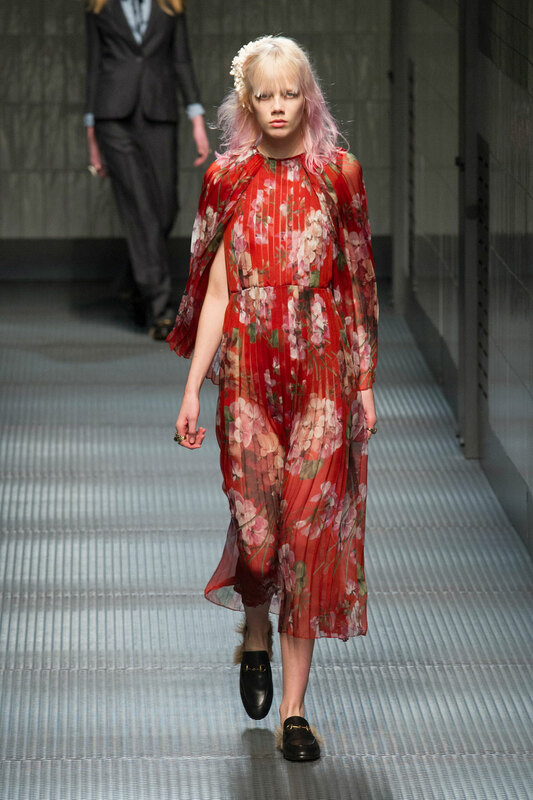 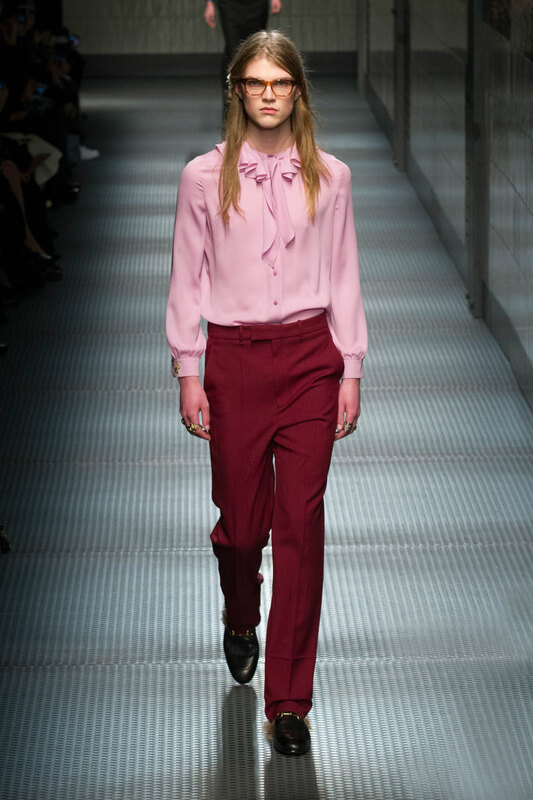 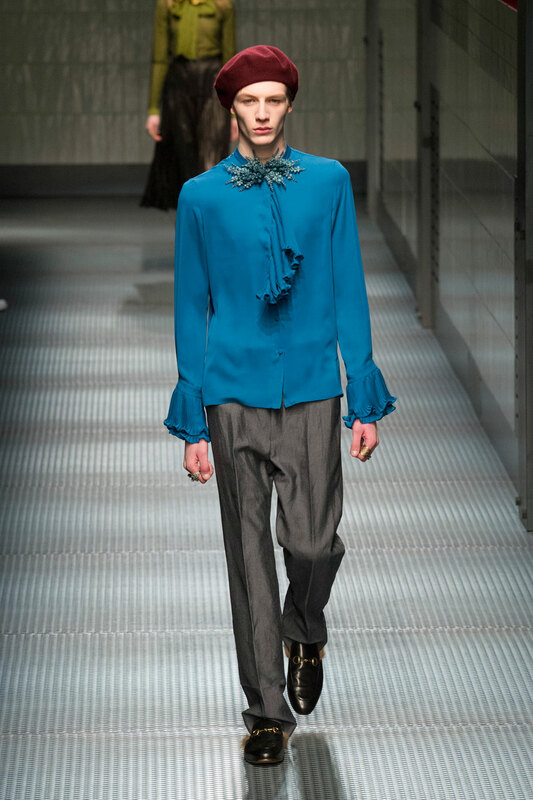 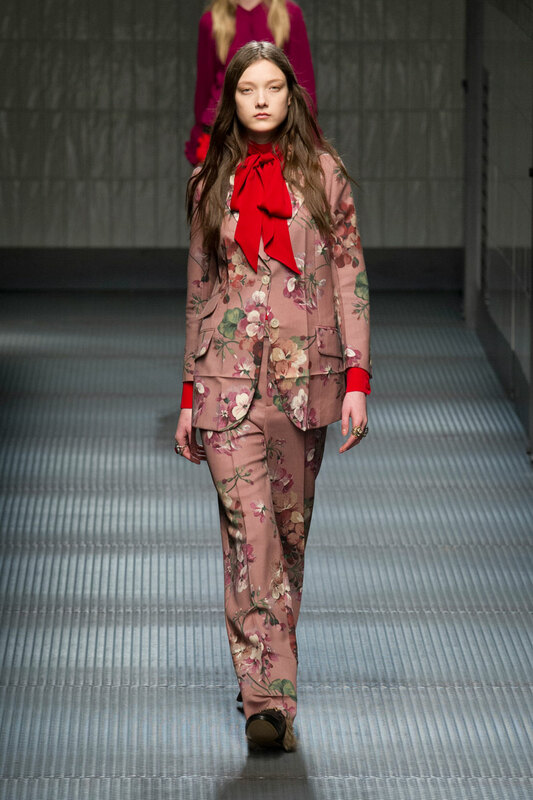 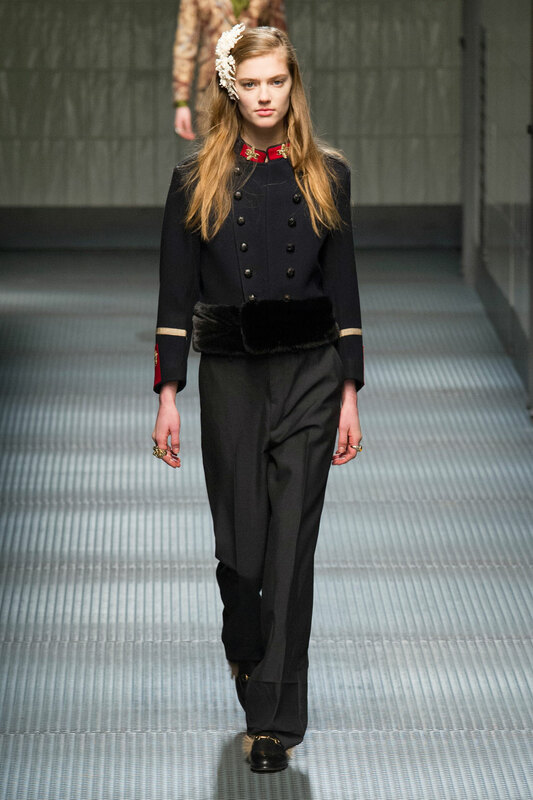 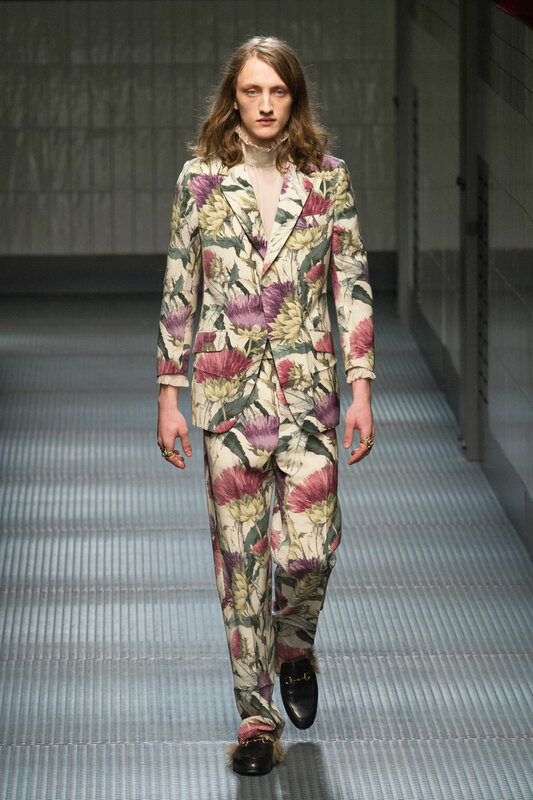 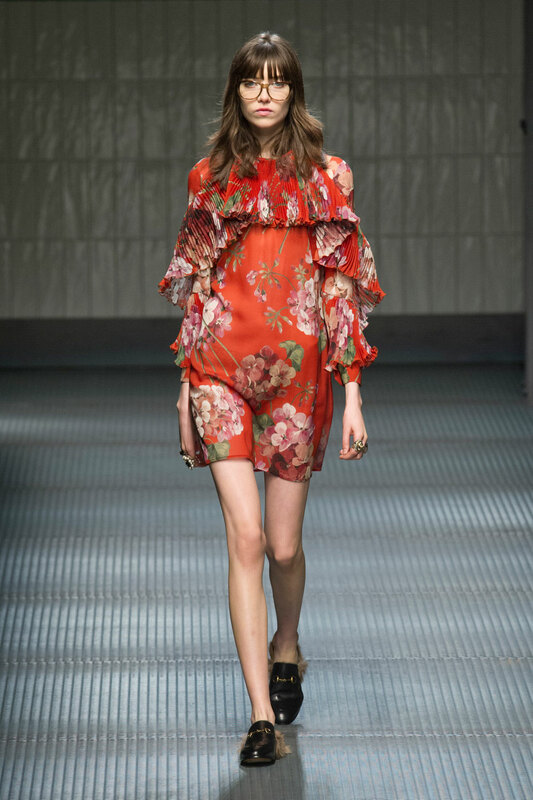 He clearly has a youthful unique vision for the future of Gucci, seen through his take on ruffles that illustrate his ability to add volume and break layers in all the right places. 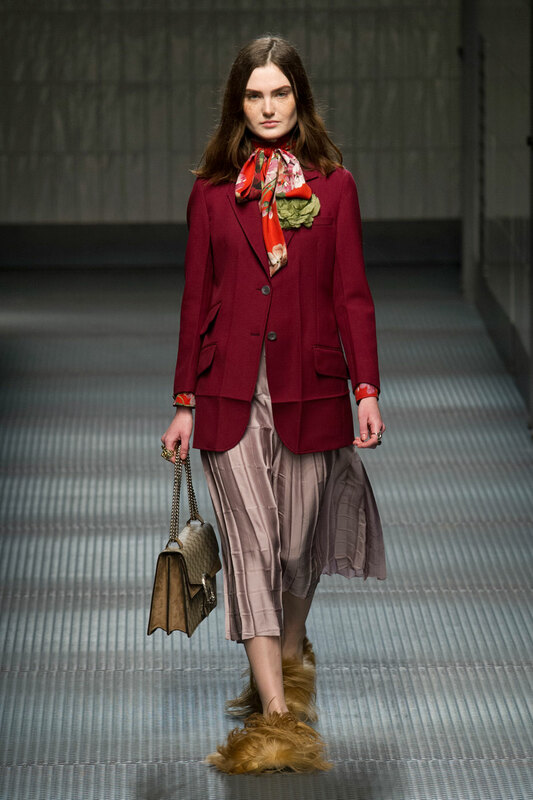 There is a definite feel of the early 1900’s within the collection seen through utility inspired cuts and customised 1920 satchels, both with an added contemporary edge. 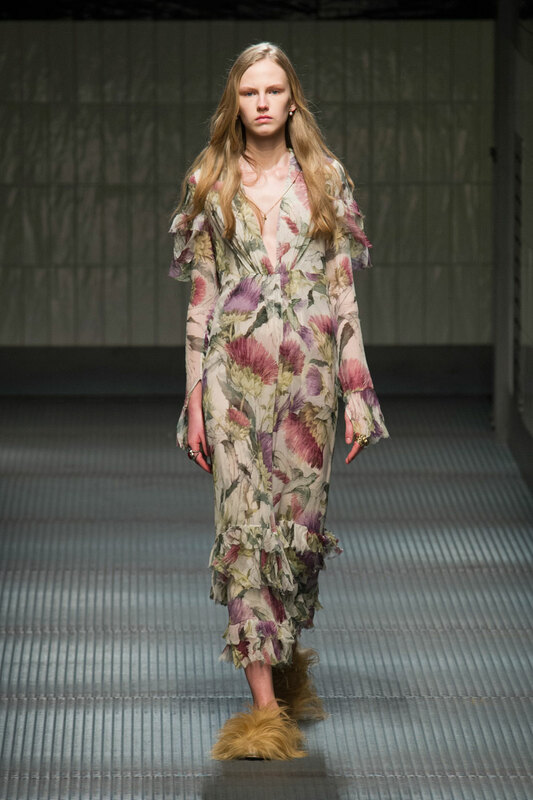 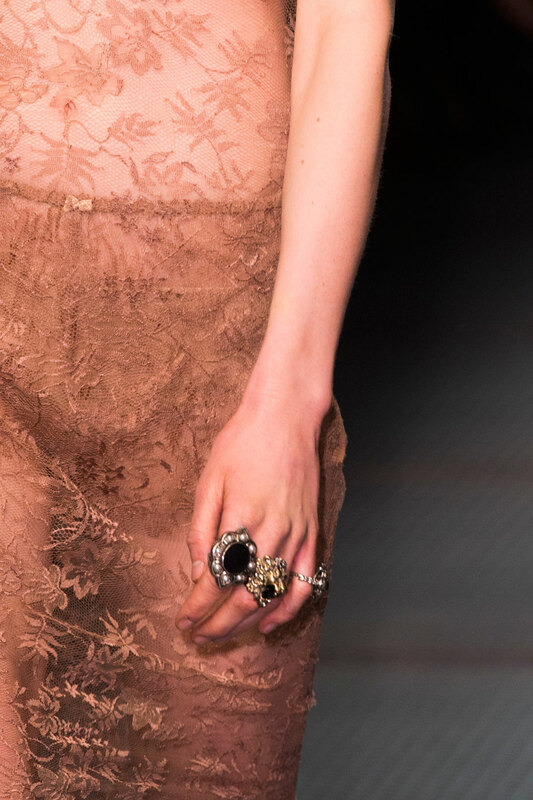 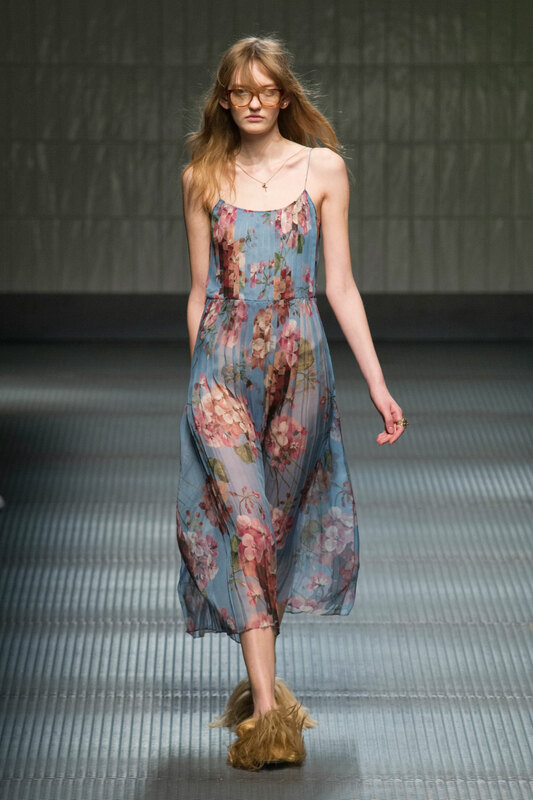 The gorgeous lace detailing did not contrast, but instead complimented tougher materials, where knits were elegantly embroidered with birds and flowers creating more of a gentle balance. 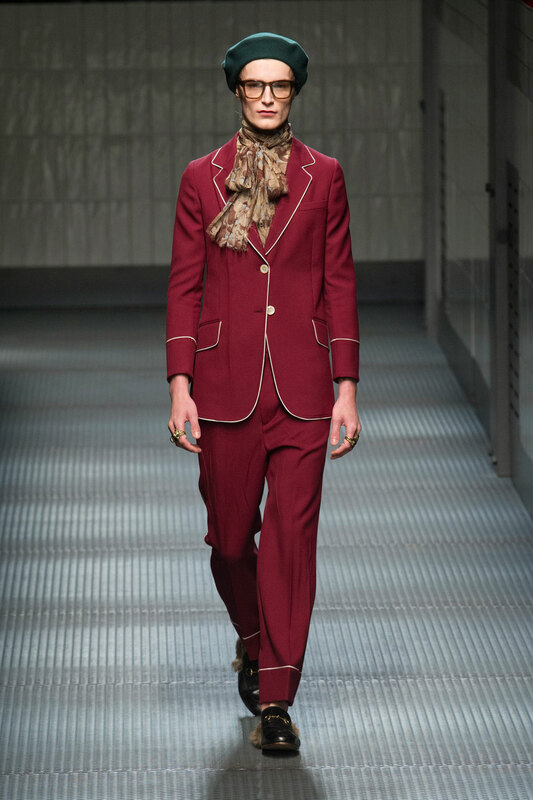 It is safe to say Michele did not disappoint this season, and he will only continue exciting and inspiring for years to come.